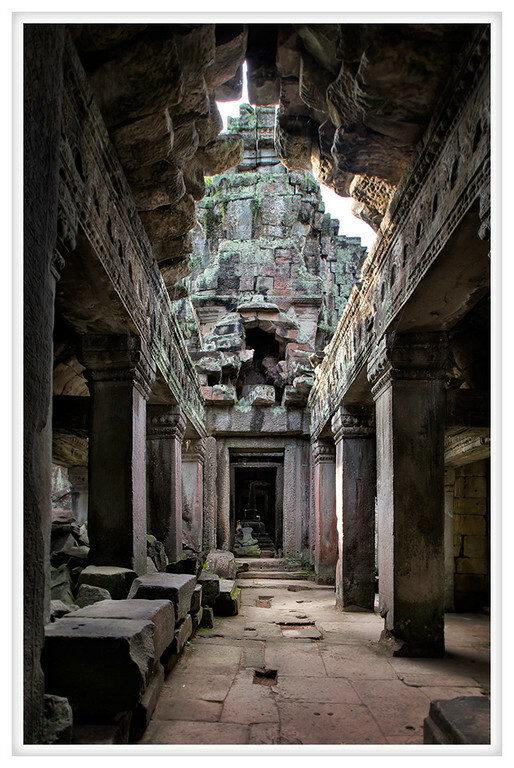 This is Preah Khan, the temple of the holy sword, it was more than a temple, it was a thriving city in its day and it reputedly housed thousands of teachers, students, dancers, and of course royalty and their retainers. Today it is one of many jungle temples, much has crumbled in nature's grip. It is an impressive network of corridors connecting all the major structures yet one need only imagine what it might have looked like when it was new and this wonderful site because even more awe inspiring.